One Friday I misplaced my cell phone. 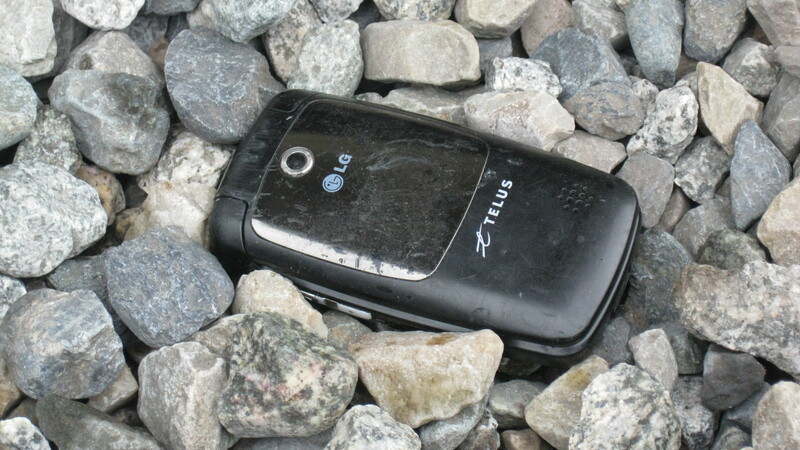 My cell phone was in the gravel behind our car. There was no doubt that we’d driven over it. I picked it up, wiped off the dust, and tested it out. It still worked! I couldn’t believe it. It must have fallen into a hollow of gravel, so the full force of the car didn’t crush it. In the days that followed the incident kept coming to mind, as if God wanted me to notice something about it. as if God was saying something in it. She was referring to Exodus 33 when God hid Moses in the cleft of the rock while his glory passed by or Song of Songs when the lover finds his beloved in the cleft of the rock and delights to see her face and hear her voice. The image of the cleft in the rock speaks of a God who protects us, delights in us, and cherishes us. That was Monday. “The verse in Isaiah,” she said. Do you think God was trying to tell me something? “Cell Phone” by Fred Hizsa. Used with permission. “Heart Stone” by Portone Pallatin. Used with permission. “Rushing Waters” by Simon Varwell. Used with permission. This entry was posted in Helpful Images, Popular Posts, Stories and tagged 2 Corinthians 4:16-18, cell phone, Esther Hizsa, Exodus 33, God's love, Isaiah 43:2, Portone Pallatin, Psalm 28:7, Psalm 62, Simon Varwell, Song of Songs. Bookmark the permalink.